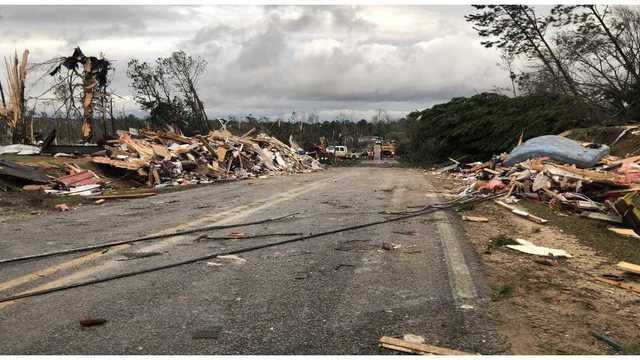 LEE COUNTY, Ala. (WRBL) As the Beauregard community continues their recovery efforts, the families of 23 victims killed in Sunday's catastrophic tornado will not have to worry about paying for their loved one's funerals. Coroner Bill Harris tells News 3 two large corporations have reached out to him and will pay for all 23 casualties to be laid to rest. Harris says the details are still being worked out and at this point, he is not saying the names of the two cooperations. "I received the two phone calls today from two large corporations within thirty minutes of each other offering to pay for the funerals for the 23 victims. This will be a huge relief for the families especially for those who have multiple victims they need to bury. This will ease a huge expense as these families continue to mourn," said Harris. Harris says he will be working with the corporations to help families make arrangments to ease their worry and concern.